The fire behaved itself today inasmuch as a fire can. Maybe it realized how much wrong it did on Friday night and is now attempting penance in its final moments. I’m fried, though not in the literal sense. I had considered doing a word of the week today, but I won’t. I don’t have it in me. 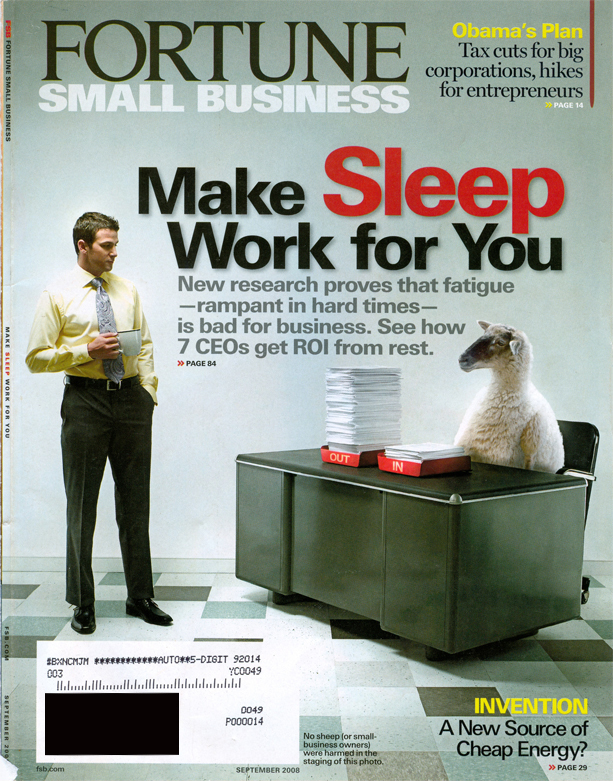 Instead, I’ll offer you this, which I only thought of since I’ve been needing a nap for most of today: an issue of Fortune magazine given to me because it was correctly assumed that I’d enjoy the art. 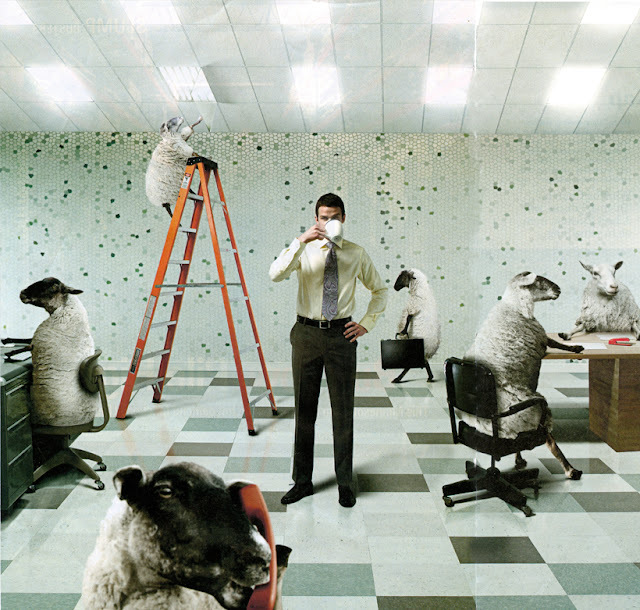 Really, sheep — in an office! Who would have ever thought of such a thing! How can they even pick up the phones properly! It’s the most ridiculous thing! Spencer noted that it was unfortunate that the cover wet to print with such an obvious typo: They clearly meant “sheep.” Right? I think Fortune is trying to send a subliminal message. This reminds me of a line from "About a Boy"
"And what do sheep go?"